There have been a rash of Blog posts about the release of Family Tree Maker 2011. It looks like I last visited the subject of lineage linked database programs back in January of 2009. For those of you who are not used to that name, a lineage linked database program is software that stores your family information such as Personal Ancestral File, RootsMagic, Ancestral Quest, Legacy Family Tree and so forth. There are new programs coming out all the time and it is difficult (read impossible) to keep up with all of them. I am constantly having people ask me if I am familiar with [fill in the blank] program. Sometimes I have looked at it and sometimes not. There is one site, GenSoftReviews that claims to have "All the genealogy software, reviewed and rated by you." They have 527 programs reviewed. There is just one problem, almost every program, without exception is highly rated, between 4 and 5 stars or has no rating at all. OK, now, I know some of these programs are not worth the cost even if they are free, so how do so many of them get such high reviews? Easy, almost no one has used more than one or two genealogy programs. So there is no way for anyone to form an opinion as to better than what. The ones that are not rated haven't made the radar yet (or never will). Let's look at Family Tree Maker. Really, who do you know that uses the program that also uses two or three other programs? (Randy Seaver excepted). When people ask me what genealogy program I use and I start listing off four or five or so, they probably think I am banging on less than all cylinders. Right at the moment I have Legacy Family Tree, RootsMagic, Ancestral Quest, iFamily, Reunion, Family Tree Maker 2010, MacFamilyTree, Personal Ancestral File and a couple I may have forgotten on my computers. So how would I know whether any of the ones I am currently using are any better or worse than others? Good question. Even I don't have unlimited funds to buy every genealogy program that comes along (I am spending too much on other programs like Photoshop). And, I don't have anything near the time to even look at all of them (unless someone wants to pay me to do so). So here we have a problem, the people who are rating programs, for the most part, are only familiar with one or two or so programs, so how do they know if what they are using is good or not? The answer is, they don't. In addition, there is another problem: developer hype. Try going to a few websites for the programs. In every case the software will be described in glowing terms as award winning, faster, easier, and on and on. So who do you believe? Some of the software sites have tables comparing features between programs. You can guess, every time, their program comes out way ahead of any of the other programs. But they get to select the features and the comparison programs. No one is going to select features they don't have or compare their program to one that is obviously better. I have been teaching various aspects of Personal Ancestral File for years. Do you have any idea how hard it is to convince someone that Personal Ancestral File isn't the only genealogy program in the universe? I'll tell you what I am looking for this week. A program that does my research for me and keeps me informed of its progress! This is my disclaimer: One time I won a free copy of Family Tree Maker in a drawing at a genealogy conference (I always win stuff). Other than that I have purchased every single program and upgrade I have every used. No developer or software company has ever given me a free copy of their genealogy program unless it was already free. No one paid me to mention their program and no one paid me not to mention their program. The ads I have on my site have never generated me even one red cent of income. In fact blogging has turned out to be interesting but certainly not profitable. Even if you were a software developer and gave me your valuable program for free, I wouldn't use it if I didn't like it and if I liked it I would tell a hundred people I liked it and if I didn't like it I would tell another hundred people I didn't like it. I have had enough rotten software to last me a lifetime. 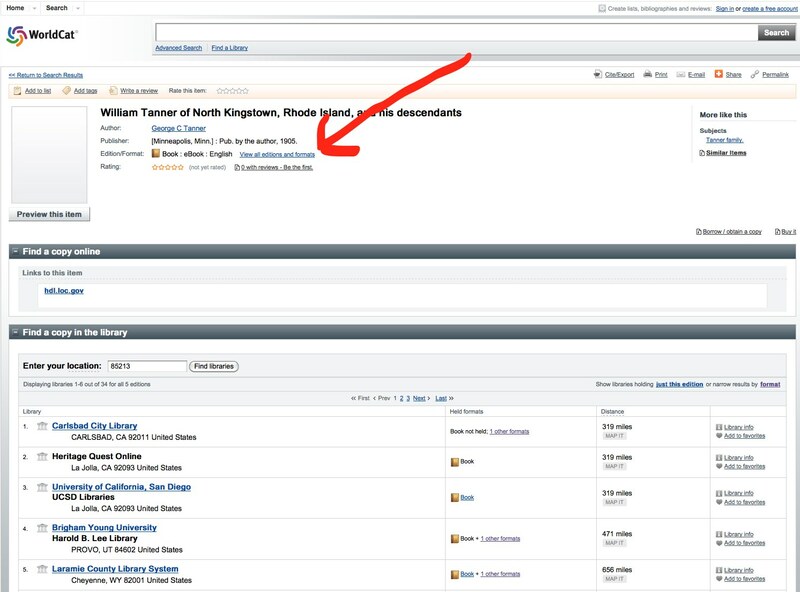 in his post, "Shepardizing Your Genealogy" "How do we connect the average researcher with this latest and greatest information?" The term "shepardizing" derives from a legal service begun by Frank Shepard (1848-1902) in 1873. The concept of the books was to provide a list of citations made to any law case by a subsequent case. So, for example, if the Supreme Court of U.S. decided a case the Shepards citations would list every case that cited the decision and indicated if the newer case overruled, upheld or modified the original decision. The Frank Shepard Company (later Shepard's Citations, Inc.) evolved over time by into a large multi-volume analysis of every court of record in the United States. The system was ultimately purchased by Lexis-Nexis in 1996. I understand Martin's concern to be a method by which various genealogical researchers could be connected in a way that more recent research could be cited to subsequent research so that older conclusions could be modified in light of the later discoveries or theories. Some of the reasons the Shepard system worked included the fact that no one owned the court decisions and those decisions, almost universally, are not subject to anyone's claim of copyright. Shepard could cite to his heart's content without the threat of a lawsuit for stealing someone's work. Unfortunately, the same conditions do not exist in the genealogical world. Researcher's own their work! And they know it. Also judges are used to the idea that their decisions might get overruled. They may care or not, but whether they care or not does not matter. Higher courts overrule lower courts with impunity and among themselves, the various courts do not even have to agree with each other. The decisions in cases where the courts disagree end up in higher courts and ultimately in the U.S. Supreme Court. But, very few cases go as far as the U.S. Supreme Court. However, there is no such august body of judges in genealogical community. If I disagree with a researcher somewhere across the country, there is no mechanism for our opinions to even cross, much less be subject to some sort of arbitration by a higher authority. Although there are those who characterize themselves as genealogical authorities, in the case of a disagreement over a historical fact, there is no one court of last resort. In court, no one really cares about how the opinion is written, it is the legal decision that counts. (Although you will often hear references to well written or badly written decisions). In the genealogical community, absent self publication, a poorly written opinion will unlikely be published at all. In a comment to Martin's post, Linda Gardner describes a system interrelating family trees with a concern about avoiding duplication. She is essentially describing a wiki, or at least a wiki where changes must be cited to sources. In fact, in my opinion, a genealogical wiki like WeRelate.org is one way all of the information about a particular family can be correlated and updated in a regularized fashion. Unfortunately, this system of checks and balances is not universally accepted and is relatively unknown. I have had one of my major lines online at WeRelate for a considerable time for a fairly large family, I have also informed many of my family members of the availability for research without any interest shown at all. But as long as genealogy is owned, it is unlikely that anything like a Shepard's citations will get a foothold. When I was working at the University of Utah Library a million years ago (maybe only half a million), my past-time on break was to walk the stacks, it was exercise and I also became acquainted with all of the different sections of that huge library. I would also find books of interest from time to time. Whenever I go to a library, I essentially do the same thing, walk up and down the shelves looking for relevant material. I have learned that no index (card catalog) is perfect and there is no substitute for taking a look for yourself as to what might be available. 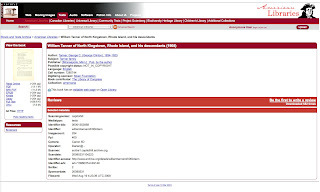 The current equivalent for walking the shelves is using Google Books, WorldCat and Archive.org to look for books that might be helpful to my research. But I do miss the library. The reference was contained in an article on Recent Books of Interest. 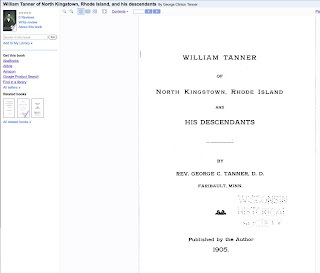 The specific reference was to William Tanner, Sr. of South Kingston, Rhode Island and his descendants, by G. C. Tanner. (Of course, I am cheating in this example, because I already know about this and most of the other books). I recognize this as a reference to one of my ancestors and decide to investigate further. 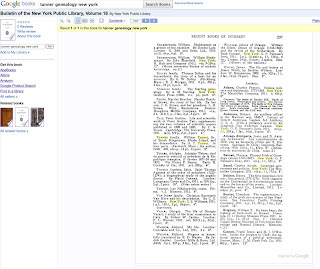 So now, I do a search in Google Books on the name of the book. 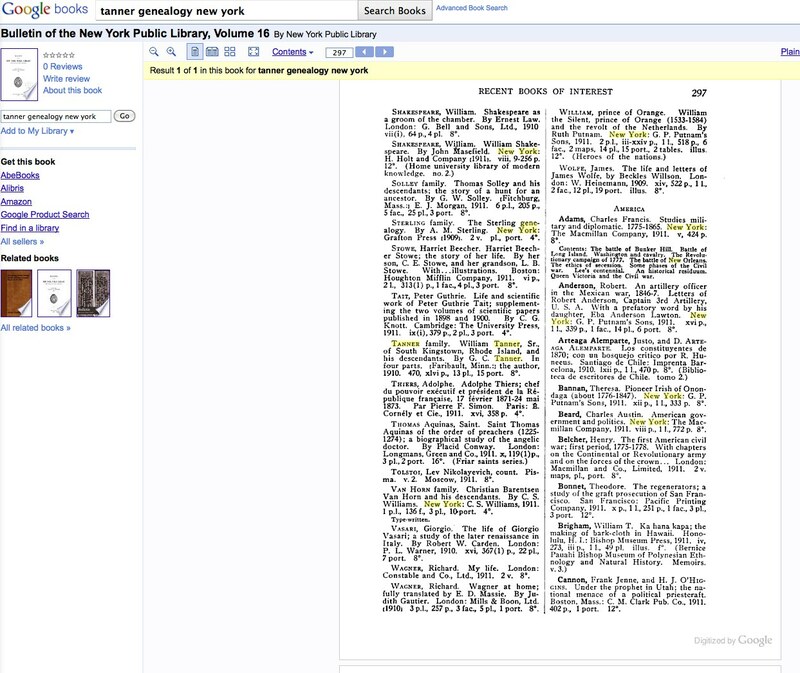 Google Books has the entire book digitized in full view. 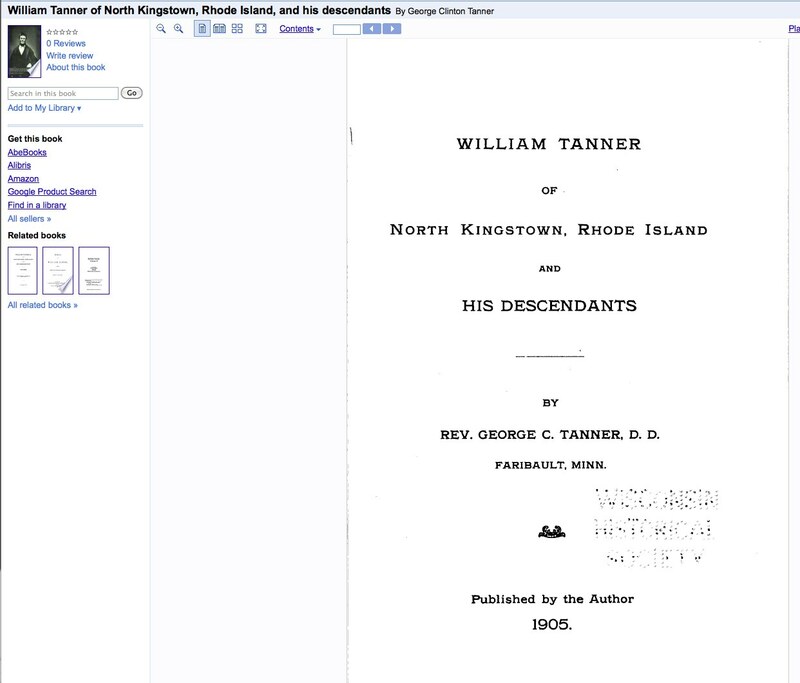 The citation to the book is Tanner, George C. William Tanner of North Kingstown, Rhode Island, and His Descendants. [Minneapolis, Minn.]: Pub. by the author, 1905. Let's suppose I wanted to find the book in a library (despite the fact that the book is completely digitized online). I can click on the "Find in a library" button in Google Books and Google will take me to WorldCat.org, where I find that none of the close-by libraries have the book. At this point, if I wanted to pursue the matter, I could order the book through Interlibrary Loan from my local Mesa Public Library. But I want to see if the book is located anywhere else on the Internet, so I click on the link to "View all editions and formats." I find several online copies of the book, some in subscription websites, I choose the Archive.org version which gives me the option of reading online, downloading a PDF, a B/W PDF, an ePUB version, a Kindle version, a Daisy version, a Full Text version, or a DiVu version or having the entire book in HTTP. I realize that you may not have the same luck in finding a book about a remote ancestor so easily, but it doesn't hurt to look and search on a variety of names and locations in all of these resources. This is a pretty simple rule. Various computer systems are rated by the speed of the processor and the speed the information is moved internally (Bus Speed). Usually, within a short time a new processor is introduced, there are a number of independent organizations who rate the speed and compare the new processor to previous models. You can make a pretty good guess as to how fast the computer is going to operate by the speed marks. There is one catch, you cannot compare two different processors on speed alone. For example, you cannot compare an AMD chip with an Intel chip. To this end, there are also speed tests using common software, such as the time it takes to open a certain file in Photoshop or some other program. After careful research, you can get a good idea of the speed comparisons of the various computer chips currently available. If you are so inclined, you can look at a CPU Benchmark test at PassMark Software. This is not an endorsement and yes, I know there are a dozen (probably more) different tests out there. Why do I buy the fastest computer I can reasonably afford? The answer is pretty simple. Computers age much faster than any other consumer product and by buying the fastest computer you can afford, you will likely keep what you have for a longer period of time and spend less money over the long run. Why do computers get old and slow? Because software and my use of the computer continues to demand more speed and more capabilities. Rule No. 2: Don't ignore rule No. 1, but don't buy a new computer system when it first comes onto the market. Rule No. 2 seems to contradict rule No. 1, but in reality, the fastest computer in the world is useless unless the software programs utilize the speed of the processor. For example, Apple computer has had a 64 bit system for some time, but most of the computer programs ignore the extra speed and continue to run in 32 bit mode. So purchasing a very fast computer is tempting but needs to be moderated by utility. Wait for the software to catch up with the new processors. Rule No. 3: Anticipate change. It does no good to buy the fastest computer you can reasonably afford, only to find out that the major manufacturers, i.e. Intel, AMD, Motorola, IBM etc., are coming out with entirely new computer chips in the near future. First of all, when the new chips come out, the existing computers with the older chips will either disappear or drop drastically in price and second of all, the new chips will mean even faster computers. But, you can wait forever. You have to make a decision and go with it. Rule No. 4: Stick with compatibility. OK, now despite Rules 1 through 3, upgrading your computer programs could cost more than the computer itself. If you buy a new computer system without taking software upgrade cost into consideration, you might be surprised at what it is going to cost you to upgrade. You may even find that your old software will not run at all on the new computer. Look before you leap. It may be less expensive to get some more mileage out of the old system until the speed issue becomes intolerable. Rule No. 5: Time is money. I practically live in front of a computer and make most of my living (even as an attorney) from using a computer every day. I simply will not put up with a cranky old computer system. Like some people I know, computers tend to get cranky with age. They slow down. They get a variety of ailments and they don't work all that well. Unlike getting new body parts, buying a new computer is a ready solution to the cranky computer syndrome. If I can cut the time I spend doing a repetitive task in half, I can make twice as much money. (OK, I realize this is dreaming, but I do get a lot more work done today than I used to ten years ago). Rule No. 6: Watch the technology. The Apple iMac is a good example of watching the technology. The standard computer system of the past was a box connected to a huge cathode ray tube monitor, a keyboard and a mouse. iMac put the computer in the monitor and did it with style. The box is gone. iMac may not be the fastest computers in the world, but they have so many positive features that on the whole they are more attractive (to me) than any other current system. Rule No. 7: Consider the price. Will the increased productivity offset the cost of the computer? Will you have to upgrade all your software? Are you really unhappy with your current system or is someone telling you to buy a new computer? Will you have to buy a new printer or scanner? These and other questions equate to the cost of a new system. Now, do I really go through all of these questions every time I purchase a new computer? In fact, the answer is yes I do and I apply the same criteria to digital cameras, cell phones and all the other electronic gadgets in the universe. The hallmark of the published genealogy is a thick book of names, reported relationships, brief narratives and NO sources. I have a number of these books on my own shelves at home. Most are treasured as family heirlooms, written by someone's great grandmother or aunt, long since passed away and unavailable to make corrections or even defend their work. In a past post, out of a sense of self preservation, I have declined to identify any particular book. Now, don't get me wrong, I have actually seen family history books that were meticulously sourced and filled with valuable data. I laud any one who has published such a book and recommend it to anyone who wants to know about their family. Unfortunately, I do not happen to be related to any such people. At the moment, I am looking at a large and impressive book with gold lettering celebrating the posterity of one of my great-great aunts and her husband. I find one passing reference to a source, another descendancy book by another relative which is also missing any source references. 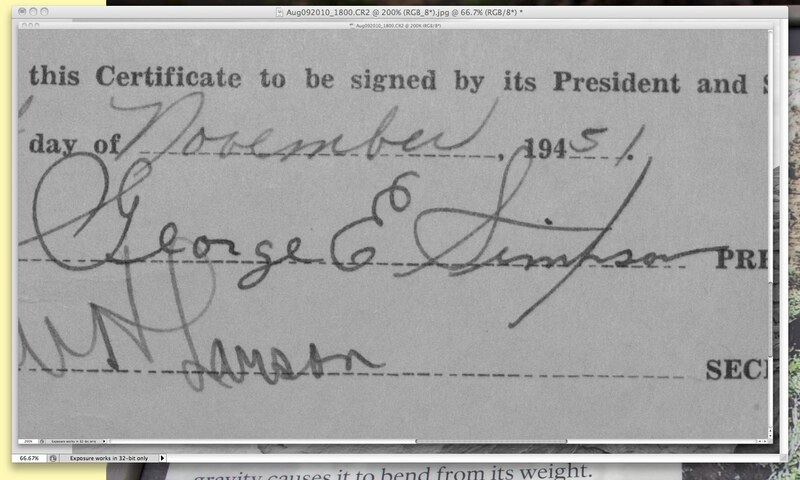 Other than this reference there is not one birth certificate, census reference or military record in the entire tome. There is a very nice picture of Queen Margrethe II of Denmark, who I am certain I am not related to. In answer to a question from a reader, yes, these books find their way into a multitude of libraries, even the shelves of the venerable Family History Library in Salt Lake City, Utah. But as Randy Seaver writes in Confessions of a Name Collector, in his early research, he recorded the information because it was there essentially. So what is the big deal with having sources for information in your family history, don't we all know who are parents and grandparents were? Well, not exactly. 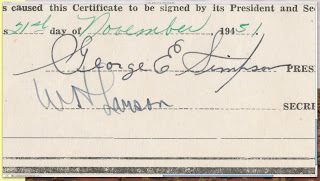 Saying that someone was born on such and such a date in 1870 is not helpful to future generations unless the date can be verified from a contemporary source. Without sources, how do you tell the difference between the made up parts and the real facts? Or better, how do you know if there are any real facts at all and the entire book isn't made up and entirely fictitious? The answer is simple, you don't. Sources are that important. So is publishing your genealogy still a viable option? Only if the book, either paper or electronic, has a firm foundation in source material. Google's Gmail just implemented free telephone calling in the U.S. and $.02 a minute to the rest of the world. Using your computer's built-in microphone or an external one plugged into the computer, you can now make calls to any land line or cell phone. Google's free service competes with Skype and other online phone services, but has the edge in ease of use and availability. Some people have already used this kind of service for work and even home. In the past and for many years, I owned an Apple computer store which also sold a variety of manufactures' computers (most of those early computer stores are long since out of business). Since selling off my computer store business, I continue to teach a lot of classes about genealogy programs and online resources which gives people the idea I might know something about computers and so from time to time people ask me for recommendations on the purchase of a (new) computer for doing their genealogy. Often, when I give a reccommendation, the person comments that this is not what their son (fill in the blank) or whoever told them and they start to argue with me. Subsequently, my recommendations have become more and more general over the years. Before asking, you may want to know a little bit about the person you ask as well as a little bit about computers. I find that when any of my friends ask their younger relatives for assistance in purchasing a computer they soon find out that the younger relative is more interested in what he or she can do with the computer than what my friend might want to do. But, as a genealogist you may not need the fastest game-playing graphics computer for your research, a cheaper off-the-shelf model might do just as well. There have been vast changes in the way computers are sold today compared to the past. The first personal computers required a lot of hand-holding and the customers expected the salesperson to be knowledgeable. About all that you really need know today, is that most computers are sold either over the Internet or through a big-box store such as Costco, Walmart, Sam's Club, Best Buy and a host of other businesses. Computers are sold like a commodity. It is possible that the sales clerk in the store where you buy a computer, may not even know how to turn it on. This does not mean that you won't find a computer expert in a mass merchandising store, it is just unlikely to happen. Today, the price of a new computer is dependent on 1) the speed and capacity of the processor, 2) the amount of RAM memory, 3) the capacity of the hard drive, 4) the number and type of connectors such as USB ports and others, 5) other equipment included in the sale, such as a mouse, keyboard, or monitor. Usually, newer computers come pre-loaded with a lot of software. The faster, newer, larger capacity computers cost more than slower, older, smaller capacity computers. But electronics in general change so rapidly, today's slower, older computer might be only six months old. Because the price of the computer is usually a function of the newness of the equipment, all you really have to do to start an investigation is find out the latest release of processors from Intel or AMD. If you buy from a major outlet you are unlikely to find anyone in the store who can tell you anything about the product you are buying except where the box is located and its price if the printed price card is located nearby. Buying online, you are also left entirely to your own devices in finding out what it is you need or want to buy. This is the main reason I get the questions about which computer to buy. But if you realize that the major retailers turn over their inventory very quickly, you can usually find the latest and fastest release of processor in one of the more expensive computers for sale off the shelf. Unless you are heavily into video, manipulating photographs in Photoshop or some other memory intensive activity, nearly all of the computers available today are much faster than you will ever need for genealogy. In fact, the least expensive computers today have more computing power than anything that was available even a few years ago at any price. My iPhone has more computing power than most of the desktop computers I have owned over the past 28 years. So what would I do if I were buying a computer? First, I would go to the library (or look online) and find a very recently published book on the basics of computing. I would make sure I knew the difference between the computer's RAM memory and its hard drive memory and other basic information. Then I would spend some time looking on line and comparing prices. If I didn't understand the differences between the computers at different prices, I would either research the words until I knew what the difference was or ask someone who really knew the answer. I would probably read some of the reviews of the products online. For example, you can spend $13,000 on a new car or $130,000 on a new car. Do you know why the first car costs $13,000? Or why the second car costs $130,000? If not, I suggest you shouldn't be buying a car. You also might want to know the difference between a Sony Supermicro Extreme Computer Editing Workstation for $6,999 and an HP Workstation Xw5000 for $70 new. Maybe not, but you might want to know why you would probably not want either one to do your genealogy. It is still true today, that with computers, you can buy a complete system, ready to operate, or you can buy each individual piece and put the whole thing together yourself. Some people think the only way to purchase a computer is in pieces. I do not find many genealogists who think this way. Usually, genealogists would rather get to work rather than spending time trying to get a pile of computer components to work together. A variation on this theme is the relative who offers to "build" you a system from scratch. Before you accept this offer, you might want to see what you can buy ready-built off-the-shelf before taking him up on the deal. Once you have a feel for the price and performance of a particular computer system, you will probably come to a conclusion about which system you want to buy. Where are the new records on FamilySearch Record Search? On August 20, 2010 Randy Seaver had a post entitled, "200 million more records on FamilySearch?" He was commenting on a press release dated August 18, 2010 with the headline, "200 million More Historic Records See the Light of Day" from FamilySearch. As it turns out, determining how many of the collections have been recently updated is somewhat problematical. Record Search no longer lists the new additions to the collections on the startup page like they did a few months ago, the user must browse the collections and click on those marked with a red star indicating that there were relatively recent changes. Apparently, recent goes back about a month. Randy further points out that some of the records claimed to be newly added date back as far as May 2010. Why would we be concerned about whether or not the records were newly added? The answer to this question is simple, if I am researching in Ohio and new records are added, such as the Ohio Tax Records, 1800 - 1850, I might like to know if new records have been added since my last search. In looking at those tax records, I find that the collection was last updated on August 16, 2010 and is presently 45% complete. The records include the following Ohio counties: Ashtabula, Belmont, Carroll, Columbiana, Guernsey, Harrison, Jackson, Jefferson, Monroe, Trumbull and Washington. The majority of the tax records in this collection are for the years 1816 through 1838. See Record Search. Interestingly, these Ohio records added on August 16th are not among those mentioned in the new article as being part of the 200 million new records. At the time Randy wrote his post, the Record Search site listed 447 collections. As of August 23, 2010 that number had increased to 450. Three entirely new collections added. But by clicking on each of the red stars in the entire list, I could not determine which of the collections had been added in the last three days. Admittedly, some of the collections that have a red star do not tell when or by how much they have been updated. Since I did not have a list of the collections from a few days ago, I cannot determine the really new collections. So, there seems to be some difficulty in determining whether there are new records on Record Search and where the records are going. How do we know what we know in geneaogy? In my last post on this subject, I began a discussion of the question of how do we we determine a historical reality in light of our human tendency to justify our beliefs and can we overcome that tendency? In discussing family history research with patrons at the Mesa Regional Family History I often hear references to "family tradition" or even "family lore." My questions concerning the validity of that family tradition generally go unanswered from the patron. It has just never occurred to them that the story might not be true. As I discussed in the last post, uncontradicted evidence is usually adopted as established fact and most (nearly all) family lore is uncontradicted. In my own family, there is a rather lengthy book, 408 pages, about my third great-grandfather and his wife. Even though the book is entirely devoid of any references to outside source material and written in the form of a novel, there is not one word of qualification in the book about the reality of the events described. From reading the book, it is readily apparent that most of the the dialogues and many of the events described could not have been "true" in the sense that the book relates actual occurrences, but I can assure you that nearly all the stories are accepted as true by their descendants. In most instances, verifying the details contained in the book proves to be impossible. If any conterminous sources do exist that were available to the author, none of those sources seem to be available in any known repository. I do not mention the title or author of the book on purpose. I do not wish to get into an argument with any family members about whether or not a particular event did or did not occur. Once the stories become justified beliefs and part of the family "lore" they take on a life of their own, independent of any objective reality. Included in this category of family lore are an amazing number of seemingly improbable stories some affirmative and some negative. For example, I have a distinct recollection of an affirmative statement made by my mother specifically saying how she was grateful that there were no polygamous families among our ancestors. When I began my research I very quickly learned that not only was the statement incorrect, but that many of my mother's and father's grandparents and great-grand parents were polygamous (technically polyginous). This is the kind of statement in most instances that gets passed along without qualification from generation to generation whether right or wrong. A similar situation is what I call negative family lore. That is, the refusal of a family to acknowledge an undesirable fact from the past. There are a multitude of examples, from children born out of wedlock to criminal activity in various forms. Some distant relative left his family under suspicious circumstances and none of the family members will talk about it even after all of the original participants are dead. I found one of these situations just recently in class I taught at the Mesa Regional Family History Center. Just recently, one of my friends related that his uncle, who had died, had refused to allow him to see a certain letter written about a family situation. My friend figured the whole issue was now moot since the uncle was now dead. In each of these types of situations, the issue is historical reality vs. justified beliefs to the extent that the justified beliefs sometimes replace the historical reality entirely and the reality is lost to subsequent generations. I am not advocating hanging all our dirty laundry out to dry in public, but even dirty laundry can contain valuable genealogical information. Sometimes the family tradition or lore is perfectly innocuous, such as a tradition that the family came from a certain locality, when the true facts are otherwise. In each case of justified belief, the genealogist can either succumb to the tradition and forget reality, or work hard to overcome the misinformation by ferreting out the historical reality, always keeping in mind that even seemingly objective source material may be badly flawed. For example, a death certificate may not give the true cause of death if the death was a suicide. We begin to know what we know when we recognize that what we think we know may not be correct. One of the first small steps to encountering a historical reality is being sceptical of nearly every fact not substantiated by more than one reliable and unrelated source. If you happen to connect with any of these studies, you have hit a goldmine. This list goes on and on. You have to take a look at these records. Genealogy is not an exact science. What we know about the historical past and particularly our family is based on our experience. Some of the information is likely very accurate, while it is entirely possible that some of the things we know, or think we know, about our family are entirely false. Whether our beliefs about our family are based in fact or not, depends to a great extent on our system of justified beliefs, that is, those things we "know" to be true from our experience even though we have no objective evidence or proof that they are true. In many cases, we may or may not be able to differentiate between fact and fiction, since it is experience which creates our system of justified beliefs and our experience may be limited or faulty. Evidence of the past is based on our perceptions, coupled with memories and introspection (i.e. thinking about our memories). In addition, we may have as yet unsubstantiated beliefs we can call intuition. All of these combine to form what we think we know about our ancestry. That area of philosophy that deals with the study of knowledge and justified belief is called epistemology. It is not my intention to delve into the realm of philosophy, but it is important for those practicing in a fact-based discipline like genealogy, to take the time to analyze the basis for our beliefs about our family to the end of rejecting those portions of our justified beliefs that do not comport with reality. "Justification is the reason why someone properly holds a belief, the explanation as to why the belief is a true one, or an account of how one knows what one knows." Wikipedia. The real question is how do we determine a historical reality in light of our human tendency to justify our beliefs and can we overcome that tendency? I believe that there is an analogy here to the "facts" developed in conjunction with a legal action (a lawsuit) in a court of law in the United States. As a legal case develops, there are many perceptions of reality. The plaintiff or plaintiffs each have their perception of the "true" facts of the case. That perception is only imperfectly conveyed to the Plaintiffs' attorney, who then has a second but different perception of the "facts." At the same time, the defendant or defendants have an opposing perception of the "true" facts, which, of course, differs diametrically from the "facts" believed to be true by the plaintiff. In addition, the defendants' attorney obtains a separate and distinct perception of the "facts." The reason I put facts in quotes is because none of the perceptions is complete or entirely accurate and all of the separate perceptions of the underlying "true" facts are subject to each individual's justification of the facts. Just as we form justified beliefs about our family history, the parties to a lawsuit also justify their perception of the facts to fit their own self interest. When a case goes to court for a trial or other disposition, the various parties' perceptions interact with those of the attorneys and are presented either to a judge or to a judge and jury. In every case the judge and if present, the jury, then produce their own perception of the "facts" of the case. Are any of these perceptions "true" in the sense that they correspond with some objective reality? No. Most importantly, if none of the facts are contested by either side (if they seem to agree) then the court can decide to adopt the facts without making a separate determination of those facts. In other words, the way the facts are expressed by the opposing sides may become a separate and distinct set of facts, far removed from the "true" facts of the case, whatever those are. Now an example from the world of genealogical research. Let's suppose you are searching for information about a Great-grandfather or mother and you find a letter talking about his or her birth written by one of their siblings (a great aunt or uncle). Many genealogical authorities including some database programs would have you rate the reliability of the letter as a source. The authorities would apply some standard of evidence and evaluate the document as either a original or derivative source and would further determine if the information was primary or secondary and then perhaps evaluate the letter as either direct or indirect evidence of the birth. However, in real life, the researcher is more likely than not, simply going to copy the information into their file and any evaluation of the reliability of the information will depend on the quickly formed justified belief that the information is accurate, just like a judge in a case where there is no contest over the facts. But the transmitted "facts" may, in reality, differ from some objective reality. This situation is especially common if the "facts" contained in the letter seem to agree with the researcher's own perception of the facts, i.e. 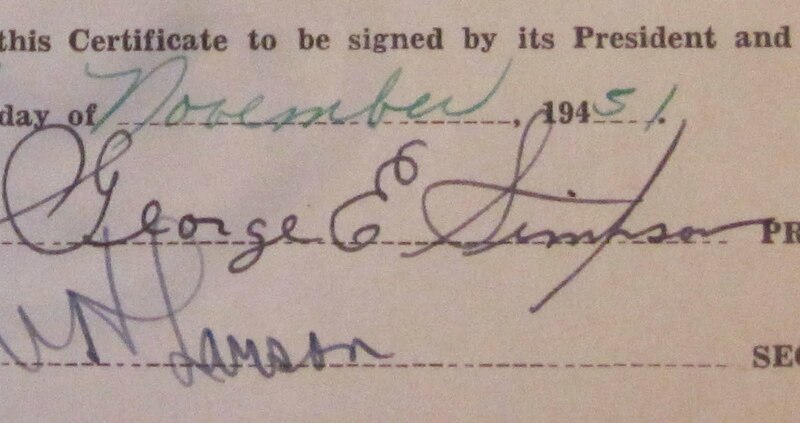 the date in the letter agrees with the researcher's belief as to when the birth occurred. Once the perception of the truth of the birth date is written down, the next genealogist in line, will take the information provided by the first and again accept it verbatim because now the second genealogist has a justified belief in its accuracy merely because the first transmission of the facts were not contested and because they were in written form. The tendency of the each researcher in the chain to accept without question the "facts" increases with each transmission. Just as the judge in a legal case has a justifiable belief in the version of the facts presented as uncontested, so the researcher forms his or her opinion as to the accuracy of the information obtained by adopting justified belief as to its accuracy. It should be noted that merely because facts are uncontested does not mean that they are in any way accurate. However, we have a natural tendency to accept uncontested facts. This tendency is so pervasive, that it is an integral part of our legal system. The key here is that as a genealogical researcher comes across a "fact" contained in some kind of source record, the opposing or contradictory facts are seldom available. So the first instance of the fact becomes the "truth" of the research, just as uncontested facts or law in a legal case become the law or facts of the case. In this way, facts become ingrained in the history of the family both true facts (i.e. those corresponding to an objective reality) and those facts that are merely justified beliefs. How do we escape this problem? How do we know what we know? Tune in to my next post. In response to my recent post on litigation discovery documents, one of my readers correctly pointed out that some courts no longer accept filings of depositions and other discovery documents except in special circumstances. This started me thinking about the kinds of documents that might be researched in a courthouse and therefore, what a researcher could discover. It is important to realize that whether or not any particular type of information is preserved in a court record is almost a matter of chance. For example, in most cases, a deposition of a party or witness would not be in the court file, but if the deposition were going to be used as testimony during the trial, the transcript would be deposited with the court and could become available in the court file. There is a lot of inertia in the courts and once a document gets into the court file, it is likely to stay there. Also, even if a deposition or other document is in the court record or file, that does not mean that the content of the document is helpful. The type of information that makes its way into the court documents, not only depends on the type of case or controversy, but also on whether or not the attorneys ask certain questions or provided certain information during the proceedings. This is especially true if the decision in the case were appealed to a higher court. In that case, if the discovery documents, including the deposition were made part of the court record for any reason, they could be in the court file. In times past, depending on the particular court rules in effect, discovery documents may or may not have been kept in the court file. Some courts kept everything that had to do with the case, others returned exhibits and other court documents to the parties. In some courts, the discovery documents are destroyed if no one claims them. It is common for a court reporter to make a summary or even a transcript of the court proceedings. For years, these court minutes or transcripts were taken down in shorthand. Now, transcripts are made on a mechanical or electronic court reporting machine and the transcript is transmitted directly to a computer. Lately, some courts have stopped using court reporters and record the proceedings in a video file. If you want a copy of the transcript, you have to purchase a CD or DVD copy of the video recording. If you want to have a written transcript, you have to pay a court reporter to make one. Transcripts of court records vary widely in content and reliability. In one court in Arizona, the official court reporter, who took down the testimony at trial, lost all of his records for a long period of time. There was a huge controversy over the loss of those official records. In addition, many states have one to several courthouses that have burned in the past. For example, twenty-two Kentucky courthouses burned during the Civil War. Some states have a more extensive list of burned courthouses, see Louisiana for example. Some courts have a name index of the court records, others merely file the documents by date. Some of the files are kept in modern archives, others are stacked in cardboard boxes in the courthouse basement or attic. Especially, if you have exhausted almost all of the possible records about a family, you should turn to the court records for further information. Very few families made it through their existence without a lawsuit or two, or without a probate or other disposition of the property. No, all of these variations are not found in different source documents. Once again, there is virtually no controversy over the way his name was spelled at the time. We are not talking about someone who lived when spelling was not standardized. If I told you Henry was born in 1852, could you tell which of these variations was correct? Just a hint, Joseph City (previously called St. Joseph), Lakeside and Toquerville did not exist in 1852. Now, what is the point? The point is that there is really not much of an excuse for sloppy, poor research and even sloppier recording of information. Being expansively inclusive in genealogy has its merits, but it is important to recognize that there will be a lot of extraneous chaff generated by all those people who do not care enough about what they are doing to proof read their files before posting them online for the world to see. What is also interesting is that the people who entered these files may be dead but those who are alive have not taken the further opportunity to correct their files that have been online for years now. It is noteworthy that these entries seem to proliferate rather than move towards some kind of reasonable consensus. Certainly, New FamilySearch is not alone in having this kind of variation. Ancestry.com has the same issues as do most of the other online family tree websites. I quick search on the name "Henry Martin Tanner" born in 1852 returns 37,315 trees in Ancesty.com. I suggest that serious researchers and family historians may wish to avoid these kinds of websites except for initial surveys and New FamilySearch should be used for its real purpose, submitting LDS ordinance data to the Church. What do I do if the genealogy records are sealed by the court? Throughout our U.S. legal history, as inherited from English law, the courts have always had the option of conducting all or part of their business in private. An early English court, called the Star Chamber, was established to try the rich and powerful. All of its deliberations were held in secret with no witnesses, no juries, and no appeal from its decisions. In our time, the courts still have the right to close all or certain portions of a trial to the public or to "seal" portions of the record so that they cannot be examined without a court order. I usually run into this situation in cases where there is a dispute about some sort of attorney/client privileged information that is disputed by opposing council. The disputed information is filed with the court under seal to prevent the confidential or privileged information from becoming a public record. I also see some accounting records, particularly personal financial records, submitted to the court under seal. In family law cases, sometimes the testimony or proceedings concerning minors is conducted in private and record placed under seal. When the documents are in the Court file under seal, they cannot be unsealed except by order of the court. Usually, the court rules allow any interested party to move, apply or petition the court to have the documents unsealed. In the case of old documents, now of genealogical interest, the moving party would have to demonstrate to the court the need for the information in the records. If the records are very old, it would seem that there would likely be no purpose in continuing the status of the records as sealed. Any privileged, private or confidential nature of the documents would have long ago attenuated. As an example, see the 2010 California Rules of Court regarding Procedures for filing records under seal. There is no reason to reproduce the entire rule here, but an examination of the rule illustrates the usual type of procedures involved in both placing a document under seal and having the seal removed. Genealogical plagiarism -- legal or moral offense? Right out of the chute, plagiarism is not a criminal act. The closest legal involvement is with copyright infringement or violation claims. Certainly, extensive plagiarism is almost always also a violation of copyright. To quote from the University of Arizona Libraries website on Avoiding Plagiarism, "Plagiarism is using others' ideas and words without clearly acknowledging the source of that information." In genealogy, the definition fits exactly. If you copy someone else's genealogical work without attribution, you are plagiarizing the work. To avoid plagiarism, quoting again from the University of Arizona Libraries. If I send a copy of my genealogy file to someone and they import the file into their own program and then publish the uploaded file as their own without giving credit to my efforts, even if the uploaded file does not constitute a copyright violation, it is still plagiarism. Whether or not a work is plagiarized is finally a judgment as to how closely the copy appears to conform to the original. In genealogy we are not usually worried about issues such as style and ideas. But narratives and histories can be plagiarized just as any other document. As noted above, I would guess that virtually every institution of higher learning in the United States has some kind of policy on plagiarism. I am told that our local Mesa Community College has computer programs that will quickly determine the plagiaristic component submitted by a student and will show exactly where the information was obtained online. Plagiarism is theft. It is not acceptable in our present society or according to our generally accepted standards of behavior. No matter how obtained, failure to attribute ideas, or substance to the originator is wrong. One area of genealogical research that I seldom hear mentioned is the use of depositions, court transcripts and legal files for research. Many researchers know the value of deeds, wills and other legal documents, but may neglect to search for litigation files for the same parties. As a side note, in Maricopa County, Arizona alone, approximately 50,000 cases are filed each year. In many of those cases, the parties are involved in discovery concerning the facts of the case. In some, the parties actually go to a trial, either before a Judge (to the Court) or to a jury. As long as there have been courts and judges, people have been filing lawsuits and the courts have been preserving the records of these cases. The records of the courts go back for hundreds of years in America and even back to England and European courts. Most lawsuits involve some kind of discovery. The discovery phase of a lawsuit involves the parties is using formal or informal methods of determining what the facts may be before a trial. It is very likely that anyone's ancestors were involved with the courts at some point in their life and it is also possible that a record of the court proceedings is still in existence. Even if your ancestor was not a direct participant in the lawsuit, they may have been a witness and given testimony in court or at a deposition. The witness or party may have also left some kind of affidavit or statement about the case. In some jurisdictions, court records may have made it online, but there may also be large numbers of records that are stored in court archives around the country, waiting to be examined. Depositions -- Depositions are question and answer sessions where one of the attorneys asks a potential witness or party questions about the case. However, my experience in depositions is that attorneys may also ask a lot of background questions about the parties or witnesses including schooling and employment that have nothing to do with the lawsuit. The testimony of the witness is usually recorded in some form by a court reporter for later possible use at a trial. In present practice, few of the depositions taken find their way into the court files, but it doesn't hurt to look. Affidavit or Statement -- Even if there is no record of a deposition, it is possible that your ancestor made an affidavit (a statement made under oath) or some other statement about the case. It is my experience that often these documents contain a lot of extraneous information to the lawsuit, but may help fill in details about the ancestor not available in any other place. Affidavits and statements, unlike depositions, often make their way into the court files. Interrogatories -- These are a set of formal questions asked of witnesses or more frequently, the parties to the lawsuit. They are not usually as useful to a genealogist as a deposition, but they may contain valuable information especially if the lawsuit involved several family members or divorce or property law claims. 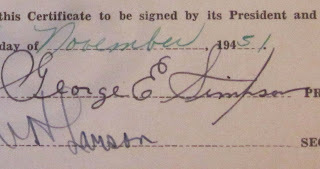 Requests for Admission -- These documents may appear, but are probably less useful than the other types of discovery to a genealogist because they are very specific to the litigation's legal issues and factual disputes. There may be other types of documentary evidence provided to the Court, such as the exhibits used at trial. In our more modern court systems, it is unlikely that the court will keep any of the exhibits from a trial, but there may still be exhibits in the court documents, such as exhibits attached to other types of pleadings. The dispute feature is being removed from the system. As a first phase, you can no longer add a new dispute. You can still see disputes that were previously entered. You can edit the notes of disputes that you added. You can also still remove your own disputes. You can work with a contributor directly. Click a contributor’s name to see if he or she has provided contact information. You can also identify your concerns on the ancestor’s discussion board. To see the discussion board, click the ancestor’s name to display the complete details. Then click Discussions, which is located in the lower-left side of the details. The main problem with moving the dispute function to the Discussions feature is that there is nothing presently in the program to indicate that an active discussion has been posted. Almost everyone who learns about this change immediately says, but how are they going to know there is a discussion? Without some indication, the feature will be largely ignored. I posted some discussion topics when the feature was first introduced and my comments have been entirely ignored. Almost no one is sad to see the dispute function disappear. It was an interesting idea at first but became a major obstacle to working with the program. Some of the most valuable documents for family history research consist of diaries, journals and letters. From time to time, copyright issues arise concerning these types of documents, especially if the text of the documents or a facsimile is being published either online or in a printed format. The first rule is that physical possession of the documents does not confer any right to the copyright. I have found that the possessor of the document usually incorrectly assumes that mere possession confers other legal rights. In reality, upon a person's death, any property interests the deceased possess passes immediately to the deceased's estate. This is the case even if a formal probate does not occur and no executor or personal representative is appointed. The estate exists as a legal entity even if there is no formal involvement of the court. If the deceased person made a will (i.e. died testate), the property interest in the documents, including any copyright interest, passes to the beneficiaries of the will. If there is no will, i.e. the person died intestate, then the property interest including any possible copyright claims, pass to the heirs as determined by the intestate statutes in the locality where the person died. You can see from this situation, that determining the true or correct ownership of any copyright claims could be really complicated and in some cases, likely impossible. From a practical standpoint, the heirs of a deceased person rarely need to be concerned about copyright issues. The main exception to this rule is when the diary, journal or letters are commercially exploited. Then, the real copyright owners may have a claim for all or a portion of the income generated by the publication. The other area of concern, is if the documents reveal personal or private information about presently living individuals. Apart from any copyright issues, the people who are still living may have a basis for complaining about the publication based on privacy concerns. Copyright concerns are a real issue and must be considered by anyone publishing anything either in physical format or online. If the present possessor of the documents is also the only heir to the deceased's estate, then the copyright would have passed to the possessor. If that is not the case, then the copyright is owned jointly by all of the heirs. This post is a continuation of the discussion in my last post, Can I obtain a copyright of a copy of an old document? The commentary is directed at websites that claim copyrights to digitized images of old documents of interest to genealogists, such as U.S. Census records, wills, deeds, maps and other such items. Let's suppose that as an attorney, I have read all the copyright cases concerning copies of documents in the public domain and a prospective client comes to me and says, I have several thousand (or a million or so) old documents that I want to scan and put online. Can I get copyright protection for my work? In this case, as the attorney, I rock back in my chair and give the client a brief synopsis of the U.S. law on copyrights, and end by telling him or her that a copy of a public domain document cannot receive copyright protection. So then the client says to me, "We can't afford to put all our stuff online unless we have some kind of protection. What do we need to do to make the documents subject to copyright?" Now, what would I say to that? In my case, I would probably tell the client to go to some other attorney. But in reality, the answer is to add originality to the documents. Can I edit the documents in some way that will cause them to be subject to copyright protection? Let's step back a half step, compilations of facts (copies of documents) can be protected by copyright to the extent that they embody some independently original selection and arrangement. The principle here is that the document itself is not subject to copyright, but the way in which the documents are presented or arranged may be. Now, this isn't really a problem for my prospective client, he or she is not trying to copy anyone's website or the arrangement of their database. What is the question is whether the document itself can be changed enough to become and "original." Given the present state of the law in the U.S., I would have the opinion that despite any cosmetic changes to the online document, the document remains a copy of the original and would not be subject to copyright protection in favor of the online provider. This position of the law has not prevented people and companies from running to the courts alleging copyright protection. As stated in the case of Peter Letterese and Associates, Inc. v. World Institute of Scientology Enterprises, 533 F.3d 1287 (2008) "copyright in a factual compilation is “thin” in the sense that the protective scope of the copyright extends only to certain elements, namely, the creative and original selection, arrangement, and coordination of the compilation, and not to the underlying facts or ideas." In this statement of law, there is plenty of room for argument over what constitutes the selection and arrangement. No matter how hard the claimants try, copyright will not extend to the parts of the online documents that were not created by the entity or individual claiming the copyright. So, an online database may be able to add annotations and explanations to the images which would be subject to copyright, but not claim a copyright to the underlying image itself. Now back to the original question, can I edit the document in some way as to make the copy subject to copyright? Possibly. The creativity bar has been set extremely low, as the cases reflect. In reality, the online companies are not really likely to be worried about whether or not someone uses a digital copy of one of the documents they have online, their real worry (should be) wholesale appropriation of the images by competitors. So, as a online entity, I acquire this old deed that is so discolored by age and water damage as to be almost unreadable. Using my fabulous computer technology and digital imaging, I make a highly readable copy of the original. Do I now have copyright protection to my cleaned up copy? There are a few U.S. Federal cases that relate to this question. In the case of Schiller & Schmidt, Inc. v. Nordisco Corp., 969 F.2d 410 (1992), the Court held, "Many works are compilations of original copyrighted material and public domain materials. A casebook, for example, is a compilation of judicial opinions, which are not copyrightable, and of the casebook author's notes and commentary, which are. A copier of the casebook would infringe both the copyright in the original material (i.e., the notes and commentary) and the copyright in the compilation itself-the ordering and editing of the opinions. Callaghan v. Myers, 128 U.S. 617, 649-50, 9 S.Ct. 177, 185, 32 L.Ed. 547 (1888) Schiller's catalog would be a clear example of this sort of dual work if Schiller had owned the copyright on Bertel's 18 photos (or on any of the other photos), since Nordisco copied them along with the compilational features of the catalog. Schiller did not own the copyrights on any of the photos in the catalog, but the catalog contained other material that was original-the layouts of the product photographs." Essentially what the courts are holding is that in order to recognize the existence of a copyright in the edited works, the copies must qualify as derivitive works. In Spilman v. Mosby-Yearbook, Inc., 115 F.Supp.2d 148 (2000), the court says, "To qualify as derivative works, Spilman must have made original contributions that in some way distinguish his publications from the underlying work. See M. Kramer Mfg. Co. v. Andrews, 783 F.2d 421, 438 (4th Cir.1986) (requiring the new material demonstrate a “faint trace of originality” and “a distinguishable variation” from the prior work) (citations and quotations omitted); 1 Nimmer on Copyright § 3.03[A], at 3-12 (“Any variation will not suffice, but one that is sufficient to render the derivative work distinguishable from its prior work in a meaningful manner will be sufficient.”). Only the original portions of a derivative work can be copyrighted. See Stewart v. Abend, 495 U.S. 207, 233, 110 S.Ct. 1750, 109 L.Ed.2d 184 (1990) (stating that an author may copyright a novel that contains story elements found in the public domain but only his original contributions are entitled to protection); Waldman Publ'g Corp. v. Landoll, Inc., 43 F.3d 775, 782 (2d Cir.1994) (“In the case of a derivative work based on an underlying work in the public domain, only the material added to the underlying works is protected by copyright.”)." A decision on whether or not the changes made to the documents were sufficient to invoke copyright protection might wait until the issue was brought before a Federal Court. If you are in a position of putting old documents online, this is risk you will have to take. 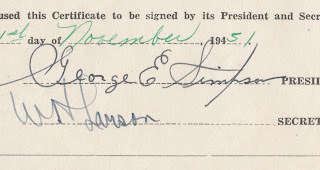 Recent news releases in the genealogical community highlight additions to more huge online databases of historic images, including private documents such as journals, wills, maps and other such items. Many of these images are put online by companies trying to charge a fee for some aspect of either searching or reproducing the documents. This raises a more than academic question, can anyone obtain copyright protection by virtue of scanning an old documents and putting it into an online database? The answer involves more than a simple yes or no. Let's say I purchase or find a paper copy of an 1887 state map of Arizona Territory. Without going into a long analysis, it is pretty easy to ascertain that there is no copyright protection for a document this old for the map's original publisher or cartographer. In other words, a document that old is now considered to be in the public domain and not protected by any present U.S. copyright law from any type of use or reproduction. So now the question becomes, is there anything I can do to the map to obtain a copyright? The answer is maybe. To begin the answer, first, it is clear from U.S. law that a scanned image of a copyright protected document is also copyrighted. See Moberg v. 33T LLC, 666 F.Supp.2d 415, 92 U.S.P.Q.2d 1242, D.Del., October 06, 2009 (NO. CIV.08-625 NLH JS). You cannot avoid a valid copyright by merely copying the document into a different media or format. But what about a document that is clearly not subject to any copyright protection? Does it follow that merely copying a public domain document does not create a claim to copyright protection? Surprisingly, the issue of whether or not making a digital copy of an out-of-copyright document creates some new claim to a copyright is hotly contested. It is common, as indicated by the constant flow of news releases, that many for-profit business entities are capitalizing on the demand for copies of historic documents. We have long since moved beyond the time when tourist stores and museum stores would sell replicas of historic documents, now companies are selling the opportunity to access genealogically significant documents in a major fashion. Inevitably, these companies are claiming copyright protection for their online images. Some of the companies (and other organizations, including government entities) are actually claiming ownership of the documents in addition to copyright protection. Let's go back to the 1887 map of the Arizona Territory. The key determining whether or not a "copy" of the old map would acquire any copyright protection lies with the issue of "original expression." In most instances of genealogical records, it is apparent that no original information or design has been added to the original record whether the record is that of a U.S. Census, World War I Draft Registration or even the 1887 map. This position of the law stems from the interaction of two different legal positions; first, that facts cannot be copyrighted, and second, that compilations of facts generally can be. As explained in the U.S. Supreme Court case of Feist Publication, Inc. v. Rural Telephone Service Co., 499 U.S. 340, 111 S.Ct. 1282 (U.S. Kan. 1991), "The sine qua non of copyright is originality. To qualify for copyright protection, a work must be original to the author. . . Original, as the term is used in copyright, means only that the work was independently created by the author (as opposed to copied from other works), and that it possesses at least some minimal degree of creativity. 1 M. Nimmer & D. Nimmer, Copyright §§ 2.01[A], [B] (1990) (hereinafter Nimmer). To be sure, the requisite level of creativity is extremely low; even a slight amount will suffice. The vast majority of works make the grade quite easily, as they possess some creative spark, “no matter how crude, humble or obvious” it might be. Id., § 1.08 [C] . Originality does not signify novelty; a work may be original even though it closely resembles other works so long as the similarity is fortuitous, not the result of copying. To illustrate, assume that two poets, each ignorant of the other, compose identical poems. Neither work is novel, yet both are original and, hence, copyrightable. See Sheldon v. Metro-Goldwyn Pictures Corp., 81 F.2d 49, 54 (CA2 1936)." The Court goes on to rule that Census data do not trigger copyright because these data are not "original" in the constitutional sense. In looking into the case law further, we find that the Court considers "selection and arrangement" as criteria for consideration of copyright infringement. Now, to the map, if I merely make a scanned image of the map, under the present guidelines, it is highly unlikely that the subsequent copy is subject to copyright. As the case of Meshwerks, Inc. v. Toyota Motor Sales U.S.A. Inc., 528 F.3d 1258 (Utah, 2008) states, "Because our copyright laws protect only “original” expression, the reason for refusing copyright protection to copies is clear, “since obviously a copier is not a creator, much less an ‘independent’ creator." The issue was also ruled upon in the case of Mannion v. Coors Brewing Co., 377 F.Supp. 2d (2005). There are a number of cases following this analysis and holding that a photograph (or scanned image by extension) which is no more than a copy of the work of another as exact as science and technology permit lacks originality. See Schiffer Pub. Ltd. v. Chronicle Books, LLC (not reported in F.Supp 2d). It is very possible that a high fidelity copy of the 1887 map of Arizona would have no copyright protection whatsoever. So what if the online service watermarks the image with huge claims to copyright. Yea, so what? That might prevent someone from using that particular image for any purpose, but does not change the underlying conclusion that the copy of the public domain image is not subject to copyright. There is, of course, a practical consideration. Do I really want to get into a copyright fight with some huge corporation? Of course not. So even if the company has no real valid copyright claim, the very fact that they make such a claim will likely persuade almost everyone to respect their non-existent rights. There are a number of ways to digitize documents and photographs. The two primary ways are to use some form of a scanner or in the alternative, some kind of digital camera. Following is a number of digital files of the same document acquired for the computer with different options. In each case the document was scanned or photographed at the optimal level for the device. The file was saved as a .tif file and the image was magnified to 200% of the original. 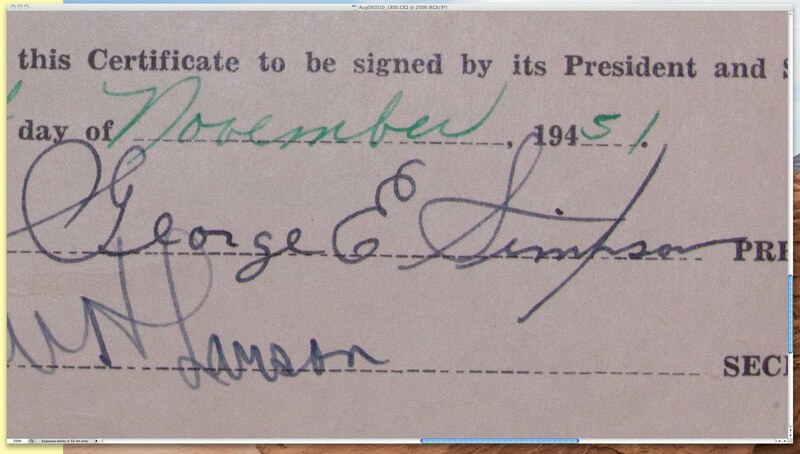 The images are screen shots of the magnified original signatures. Flatbed Scanner: The first scan was done with a ConoScan 8800F Flatbed Scanner which is advertised at 4800 x 9600dpi. The image is supposed to be 400 dpi from the scanner. The file size was 17.9 MB. 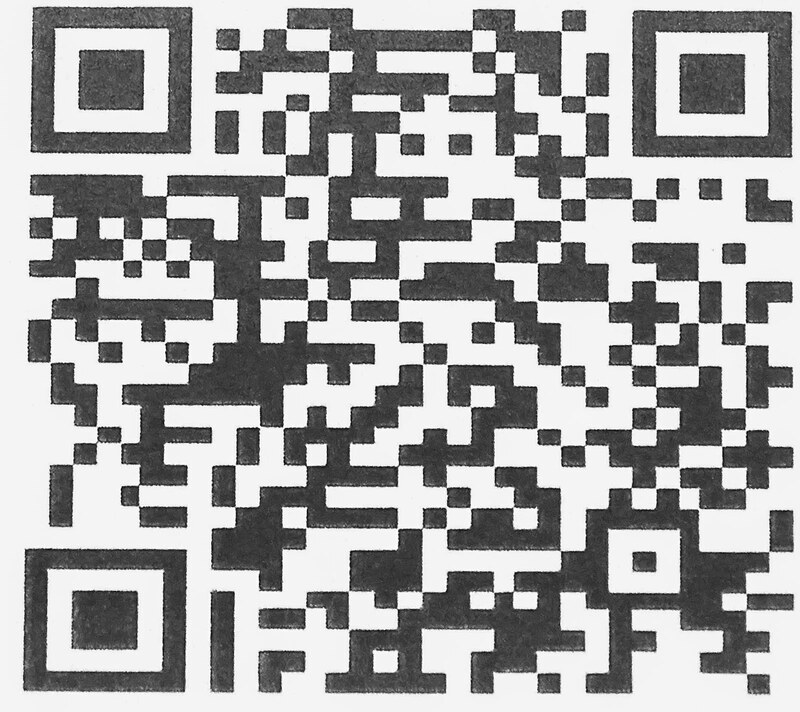 High Speed Sheet Fed Scanner: The scan was done at 400 dpi on a Canon DR-4010C Scanner. The file size was 31.6 MB. Newer Compact Digital Camera 12 Megapixels: This was done with a Canon A1100 IS. The file size was 3.2 MB. Digital SLR Camera 15 Megapixels: This was done with a Canon 50D. The file size was 20.4 MB. As you can see, all of the images are very readable and clear. The color change is a result of the lighting and can be corrected in Photoshop if needs be. Which one you pick really depends on the ultimate use of the image. If the image is being copied for content, then any one of the four are sufficient. However, if the copy is going to be used a substitute for the original for archive purposes, the flat bed scanner or the sheet fed scanner would be better images than the digital cameras. All of the images begin to pixelate at about 400% of normal size. For most purposes, digital cameras, even less expensive ones, are perfectly adequate to produce copies to be used as source material. One recurring question is whether or not the vast number of records being digitized on the Internet actually increase anyone's chances of finding their ancestors? From my standpoint the answer is a resounding yes. This last week had proof of the possibility, one from Sinaloa, Mexico and another from the Midwest U.S. It has been the case for sometime that the Family History Library had a very high percentage of the Mexican Catholic Church Parish Registers on microfilm. For many families, once an ancestor was found in a particular parish, it was just a matter of looking at regular intervals to reconstruct the entire family back three, four or more generations. Some of the records go back into the 1500s. It does become difficult to read the handwriting of the Priests, but that is not an insurmountable problem. In the case this week, one of the patrons at the Mesa Regional Family History Center was looking for a Great-grandmother from Sinaloa. The FamilySearch Record Search has the Catholic Church records for that state and the particular city from 1792. Within a short time, we had located the particular marriage record for her Great-grandmother. With that record, it should be possible for her to use the online records to enter her entire family. The second instance was more of a guess. 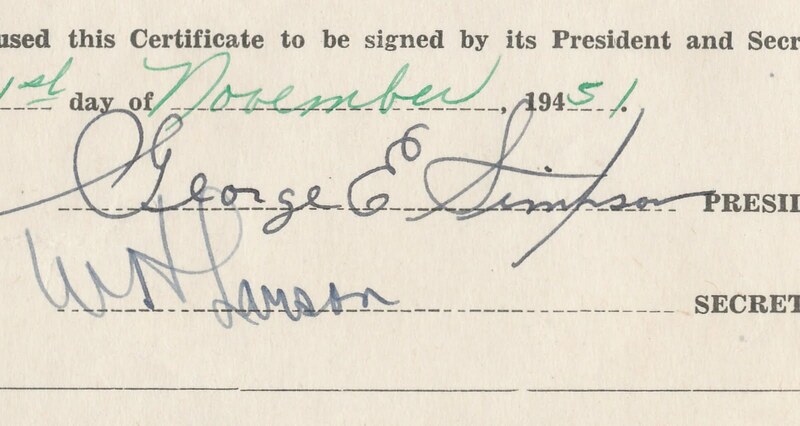 The patron was looking for a Grandfather in the Midwest born in about 1901. 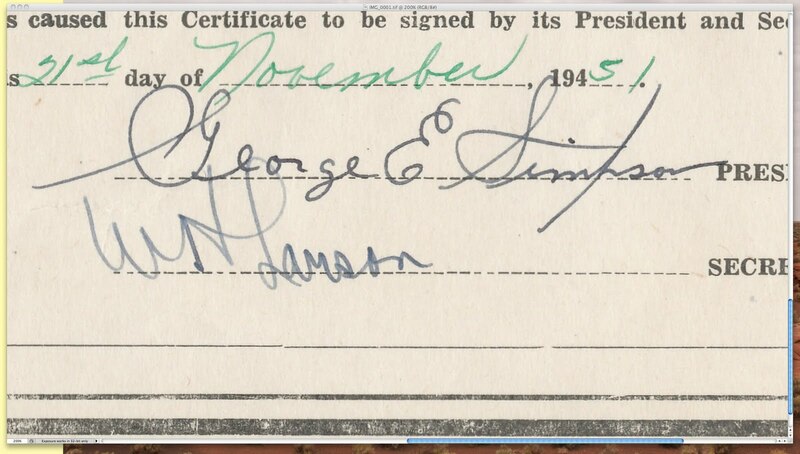 He was quickly found in the U.S. Census records and we also began to find other records for the same family. In both cases, just a few years ago, both searches would have taken many hours of reviewing microfilm, assuming the films were available. If not, then the ordering process could take weeks. 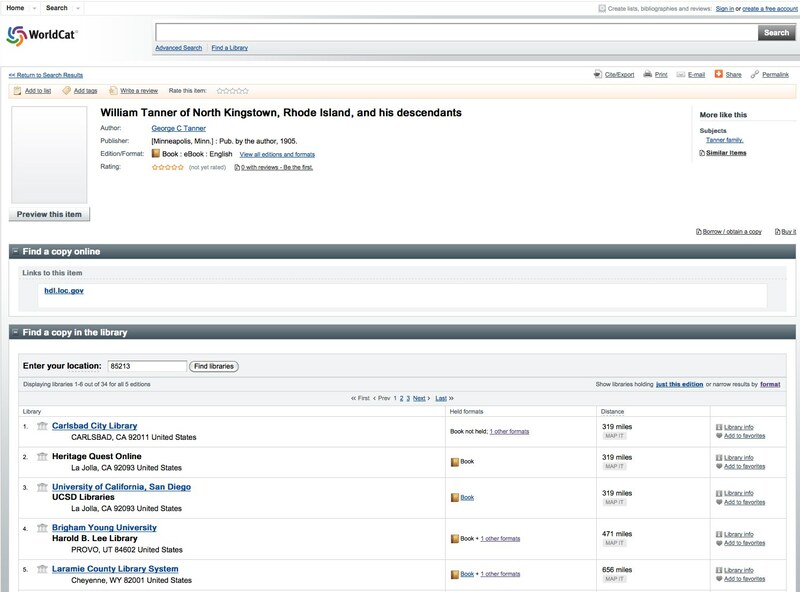 It is not just the speed of finding the records, it is the ability to search in multiple locations for different records during one research session. Some people need the incentive of actually finding something to keep them going, especially when they are just starting out. The Internet can sometime give instant gratification and may turn out to be the incentive that starts a major research effort. In both cases, the person doing the search had absolutely no idea that the records were available online. In the U.S. case, the patron came with a friend who was supposed to know about "genealogy" and the friend likewise had no idea that the records were available online. So there are two parts to this story, the first part is knowing that the records are online, the second part is knowing how to search for the information. Both are learned skills that take considerable practice. I think that they are difficult skills to learn and more difficult to teach. Whenever I start to explain to someone how to search online, their eyes glaze over and they start staring off into the distance. Learning to find things on the Internet is a skill that can only be learned by doing. In telecommunications, the channel noise level is the ratio of the channel noise at any point in a trasmission system to an arbitray level chosen as a reference. In genealogy the channel noise may be anything that is a distraction from doing research on your family lines. Telecommunication channel noise may contributed to transmission errors or even a blocked signal. In genealogy, if there is enough noise, you may not get any research done at all. So what constitutes channel noise for a genealogist? In some cases, technology itself can become a form of channel noise to accomplishing basic research. For example, when I turn on my computer in the morning (yes, I am one of those who turn the computer off and on) I find my iGoogle page with Google Reader of the overnight blog posts and some news from a news reader. Almost always, I am instantly distracted. Of course, I have to see the latest developments in genealogy around the world such as Ancestry.com's purchase of ProGenealogists and other such happenings. Before I know it, I have spent a half hour or more and gotten no work done at all. This morning it was reading about someone falling off a cliff at the Grand Canyon. Not a very productive work topic. Because I am partially deaf, I have no problem tuning out a lot of physical background noise. But at the same time, I have so many opportunities to be distracted by the remaining technology, my iPhone, the iPad, the TV with cable, the computer with iGoogle, that sometimes I find I have spent hours and not accomplished a thing. It doesn't help that I also have so many audio files, pod casts and images crammed onto all my computers and iPhone that I could listen for a month without repeating or read books for the rest of my life. So how do you get control of the technology and not be controlled? As a society we are not very good a controlling our compulsive behavior. According to Nielsen Media Research's latest report, the average American household watches 8 hours and 15 minutes of television in a 24-hour period. The average amount of time per individual (over the age of 2) is about 4 and a half hours or over 35 hours a week. According to Nielsen, 59% of the population surf the Internet and watch TV at the same time. Now, if you measured my own TV time, it would probably be less than 5 hours a week, but if you factor in my time on the computer, the total might be over 40 hours a week. In any event, every hour spent watching TV is basically subtracted from your life's ability to do more genealogy. There are a lot of online helps for controlling a TV habit which for many has become a serious addiction. But as genealogists, we need to understand that we all have a limited amount of disposable time to spend doing research. Watching TV or being involved in other non-directional entertainment media, subtracts time from that available for research. If you do have a TV habit, try reading some of the self-help material online. Here is an interesting article about breaking the TV habit. I was an awful note taker at the university and in law school. Especially in law school, I would watch the other students scribble furiously in their notebooks, so I would copy their behavior and write copious notes from every class. There was just one problem, when I got home and went back through my notes, they were absolutely meaningless. It was not that I couldn't write legibly, it was just that whatever I wrote down made no sense. I finally got to the point of simply listening more carefully and trying to accurately record the assignments. This problem with note taking carried over to my genealogical investigations. I go to the libraries and find information on my family and write down meaningful notes (at the time) and when I go back to the notes later, they are gibberish. I have no idea what I wrote about or even what I have done. So, recognizing my dilemma, I started an entirely different way of taking notes. I now use my digital camera to record everything of interest. By clicking away at the books and materials, I can record everything I see of interest and I don't have to rely on indecipherable notes for information. I simply go back to the original materials any time I need to refer to them. Of course, as I have discussed before, all of those digital images do create another problem; organization and storage. Storage is no longer a real issue, I have huge 1.5 Terabyte hard drives and could easily go to 2 Terabyte drives if necessary. On the other hand, organizing the files and collating the information with the pertinent family records is a huge problem. The book above is a good example. This person was my great aunt. Her daughter-in-law's book about her life is 155 pages long. It is spiral bound and self-published. It is such a limited edition book, that no copy has found its way into a library and it is not listed in Worldcat.org and does not show up on a Google search. Finding a book like this would be an extraordinary opportunity, but had I relied on my note taking ability, practically all of the information in the book about my family would now be lost to me forever. The people who wrote and produced the book are long since dead and I would have no idea how to find another copy of the book. So what happens when I digitize the book? I can then refer back to the information at any time without any particular concern that my notes will not be readable. The key here is how am I going to use the copyrighted material? Exactly, I am not going to use it at all. I am going to use the genealogical information contained in the book. As noted above, copyright does not extend to the factual information conveyed in the work. There is always an upside and a downside to any good system. FamilySeach -- which Wiki is which? 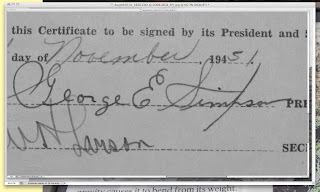 What about certification of genealogists? Are you a modern Luddite?